Help the earth and update your closet with these tips. We’ve all picked up an amazing last minute Halloween costume at Value Village, but the thrift superstore is also the perfect place to visit when the weather heats up. 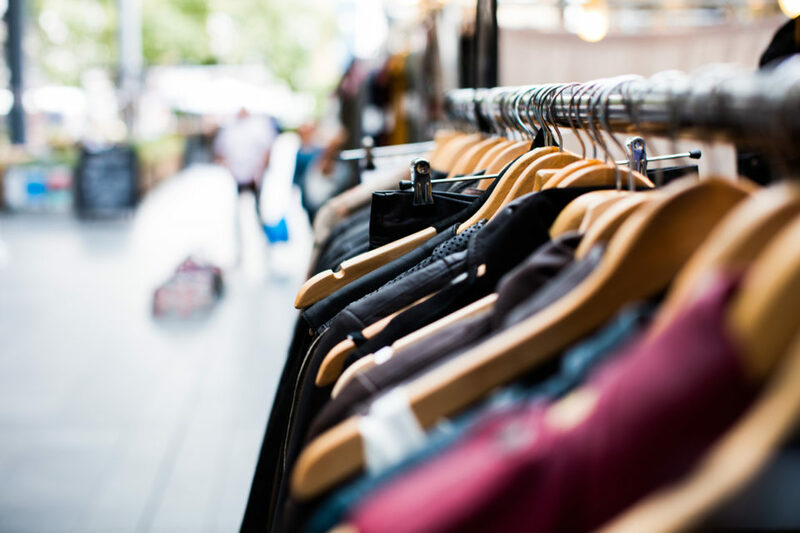 As you revamp your summer wardrobe, keep your eco-conscious self happy by shying away from fast fashion and searching the shelves at Value Village instead. More than 90% of the clothing and textiles sold by the store are reused or recycled, and its aisles are a treasure trove for eco-fashion finds. Keep an eye out for these forward-thinking seasonal trends next time you pay your local store a visit. A little accent is always fashionable, especially in the summer with the sun ready to reflect your subtlest sparkles. Even if you aren’t the rhinestone type, adding a few carefully placed sequins or beads to your favourite statement piece is a surefire way to add levity to your look. Value Village’s jewelry counter is perfect for bold costume pieces and old school glamour jewelry that can be taken apart and repurposed onto your favourite accessories. All you need now is a hot glue gun. As the temperature rises, your hair does, too. For the budget fashionista, unique fabric pieces are perfect for creating one-of-a-kind hair accessories. Scarves, table cloths, fabric swatches, old shirts — any textile with a bold pattern and interesting texture can easily be converted into your newest hair accessory. On your next thrifting visit, make sure you hit the non-clothing material sections so you don’t miss the perfect floral drape, ripe for repurposing. Try out a variety of styles to see what suits you best; fabric strips can easily be converted into hair bows, headbands and bandanas. Hems are rising with the temperature, and thrift stores are the best place to find the perfect faded jeans that you can easily turn into your new favourite shorts. Hemming or cropping an item is one of the easiest fabric adjustments and can be the most transformative. Snoop through the denim section for jeans that fit well in the hips and can be converted into adventure-worthy cutoffs. Hit the overall and romper sections with the same specs in mind. Longer dresses and skirts are also easy pickings for hemming if their original style leaves you wanting a little more skin. Tie dye has been around since your mom was cool. Guess what? It still is. Grab an armload of white t-shirts from the Value Village rack, buy a few colouring dyes, rubber bands and buckets, and you’re all set to create your own colour palettes. If the original rainbow tie dye look is a bit too Woodstock for you, try experimenting with one of two colours and varying your rubber band placement method. Different ways of bunching the shirt will create different effects, from the swirls you see in complex dyes to simple lines and streaks. Value Village is a upcycler’s paradise. Instead of heading to the mall this season, reinvest in some once-loved pieces and revitalize them for your style. You can also feel good knowing you did your part to help Value Village keep 650,000,000 pounds of reusable items out of landfills. With the vast majority of Value Village’s wares selling for $10 or less, you’ll keep the earth and your wallet happy at the same time.